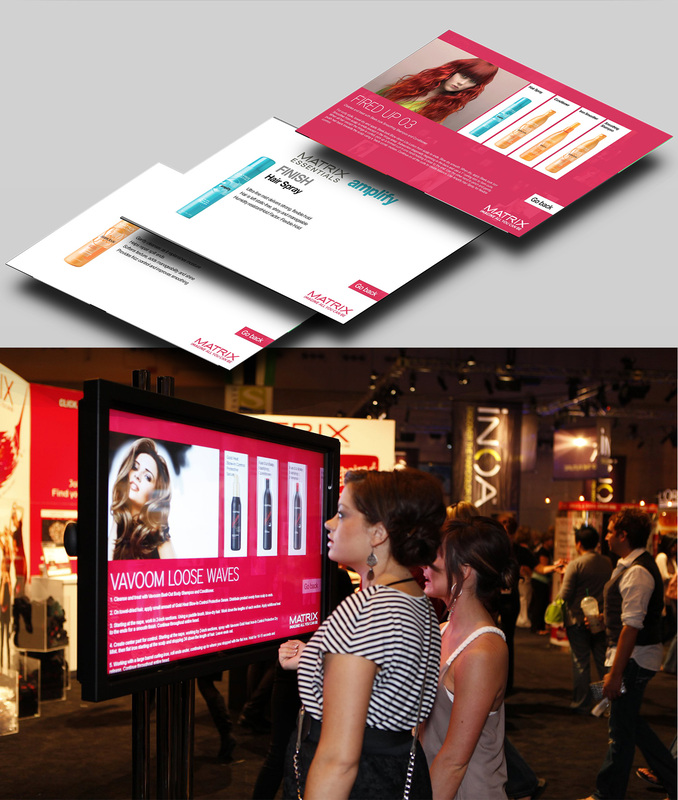 Phosphorus Media worked with LDJ Productions to create an interactive and educational tool for Matrix beauty shows. 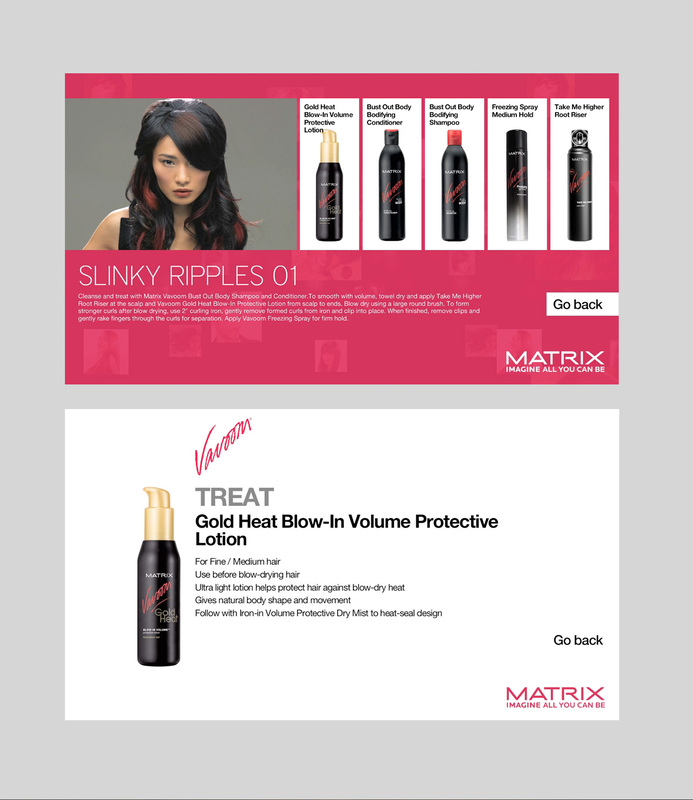 Custom visual effects were used to attract the attention of visitors as they were drawn to the Matrix booth by exciting and sleek interactive displays incorporating touch screen technology. Multiple hairstyles were displayed in a style "cloud" that gave the illusion of an infinite number of looks. 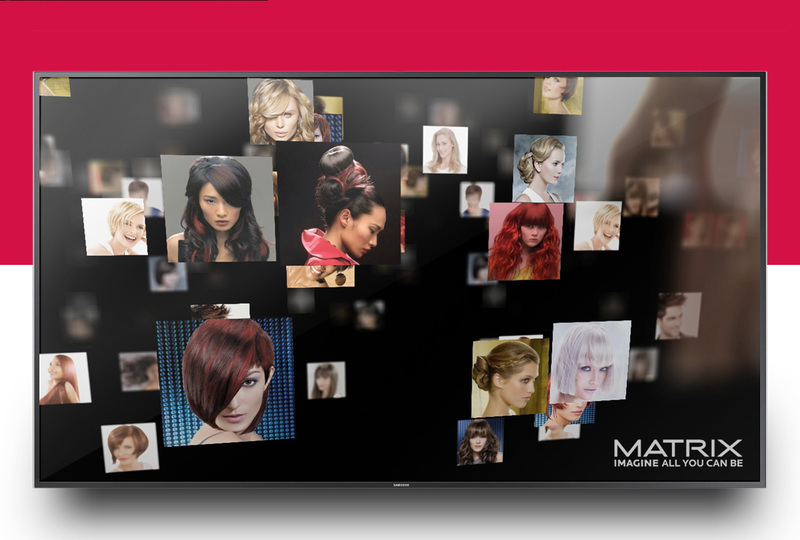 By selecting a desired look, the application would respond by providing information on styling techniques and link to the branded product selections. Fun to use, visitors were drawn further into the booth, lingered longer and browsed more products. Phosphorus Media provided touch screen hardware, creative content, 3D imagery and trained onsite Matrix personnel.